Everyone in my family is a food critic! 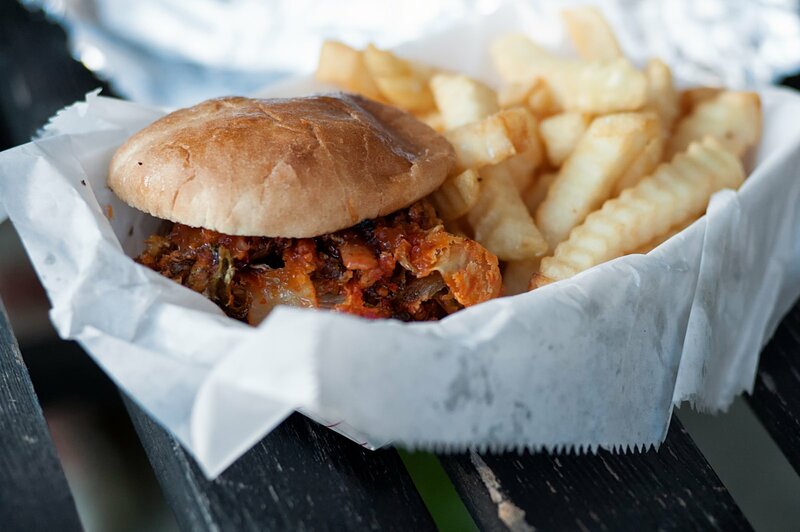 First there was my son’s review of Flip Burger and now my husband, James Andrews, writes his first restaurant review of Ann’s Snack Bar Ghetto Burger for Funkidivagirl.com. My family is always on the quest for a good burger. As the family leader I think that I am the cause of this; I was brought up in California which many call the capital of all burgers. McDonald’s, Bob’s Big Boy and In And Out Burger were all birthed in California. And those are just the mainstream/commercial burgers. But the hoods of California– that’s where the best burgers are found. From Nation’s and Quarter Pound Burger in The Bay Area hoods to Quick N Split and Mo Better Meatty Meat Burgers (the best turkey burger ever) in Los Angeles, I have tasted the best. Upon moving to Atlanta my family had been hearing about Ann’s Snack Bar and the “World Famous Ghetto Burger” so today we decided to give it a try. Joining us in the hood on Memorial Drive East was our friend Matt Arnett and his two kids. Put off a bit, we retreated to the wire seats in the waiting area with all of the others. It only took a little while for us to realize that there was a “Miss Ann’s Snack Bar Protocol” and soon we were mentoring the other patrons who came behind us and weren’t familiar with the “house rules” (think of the “Soup Nazi” from Seinfeld and you have a good idea). When we finally had our chance to order, of course I ordered the “World Famous Ghetto Burger” but opted out of the chili; the chili-cheese fries that I had coming was enough. Now while ordering is the first part of the protocol, waiting is the second. After a good 35 minute wait (which included a trip to the package store for a few bottles of Tahitian Treat) a tap on the window signaled me to retrieve our order. I rushed to pick up the red trays which resembled the old school cafeteria “china” you remembered as a kid. The first burger that I grabbed was the “Ghetto Burger with chili” that my 13 yr old son ordered. It was by far the biggest burger that I have ever seen. The thing was so huge that it scared the people waiting and made my wife shriek. My “Ghetto Burger” (no chili, but I kept the bacon) was big and juicy also. I took my first bite; the very well seasoned and hand-formed patty was a pleasure to sink my teeth into. The best way to describe it is “a Momma Burger on steroids.” Matt Arnett commented that the bun was nothing special, but a burger of this size required a solid bun. It is clear why Miss Ann gives you plenty of napkins and forks and knives as tools for the meal as it is plenty messy. I barely made it through the burger but I was determined and I’m happy to say I’m conquered it. The entire experience of the fantastic burger and Miss Ann’s protocol makes this a must do in Atlanta. This is definitely the biggest and top 3 burgers I have ever had; clearly I have been to the mountain top. The rumor around town is that Miss Ann is retiring in May, so I must go back soon. Update: Miss Ann passed away in 2015. She will be missed. My husband, who wrote the review, went again recently and the wait was over 2 hours, so I guess we were lucky that first day! The last word on her retirement is that she’s waiting for a buyer. Girl we need to go to some of these restaurants together that would be fun! Lets do lunch one day! Holy crap! That’s a big a#@ burger – smiles! For some reason Goodie Mob’s “Soul Food” is playing in my head. Now I regret not going there when I lived in the ATL…You guys are hilarious! Good point, Matt. Of course I didn’t have the Ghetto Burger because I could never eat that much meat; I had the single burger, which like you said, was still huge. We got my dad all riled up to go and just a note to all, she’s not open on Sundays.